>I met Julie Cantrell in Oxford, Mississippi a couple of years ago… can’t remember exactly when, but it seems we’ve ended up in good company several times… the last time I remember was with Neil White, Scott Cairns, Deb Mashburn, Sarah Hodges, Doug McLain and others at Waltz on the Square after Scott’s reading at Square Books last April. Julie was nice enough to help me promote the 2011 Memphis Creative Nonfiction Workshop last fall by publicizing it in the Southern Literary Review, when she served as editor-in-chief. 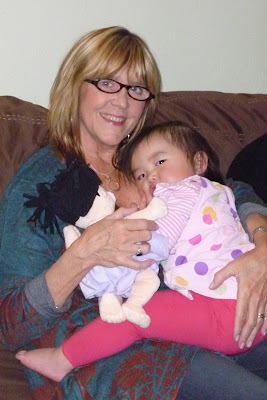 Every time I’m around Julie, I feel a kindred spirit. And now I know why. 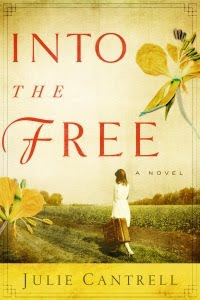 Her novel, Into the Free—which launches Tuesday night at Square Books in Oxford—is a book I wish I had written. It’s not just Julie’s literary prose that I applaud (and envy), it’s the way she brings the magical and the mystical into the everyday lives of her characters—in this case people from my home state of Mississippi. And not just any people—she captures young Millie Reynolds’ plight with brave candor, holding back nothing as she paints for us the many layers of Millie’s wounded depression-era family. But even as she describes her father’s abuse and her mother’s madness, and family secrets are revealed along the way, she always points towards the light—towards hope. Sometimes that hope comes in the form of a tree named Sweetie and a two-toed man named Sloth. And in even more unexpected places—a band of gypsies that travel through Millie’s town. The only time that I remember ever seeing Romany travelers was in Italy in 2010. My husband and I were warned by a guide in Rome to watch out for them—that they were beggars and pickpockets. The few that I saw were beautiful people, both young and old, and I found myself wishing that I had spoken to them after we left Italy. I was fascinated with their clothes and their striking eyes and haunting expressions. Outsiders. Gypsies aren’t the only people who have been marginalized by society, of course. But what a great choice Julie has made to paint their colorful lives into this book about breaking free from the past and embracing our own people’s truths in order to become who we really are. My mother is from Meridian, Mississippi (where I lived for a couple of years when I was about three and four) and I was fascinated to read in Julie’s journal that Rose Hill Cemetery—where my grandparents are buried—also contains the graves of Emil and Kelly Mitchell, the “King and Queen of the Gypsies” in that area. I wish I had known this the last time I took my mother to visit her parents’ graves, back in the late 90s. Mom has Alzheimer’s now and lives in a nursing home, but maybe I’ll make a “pilgrimage” back to Rose Hill Cemetery in Meridian one day and look for all of those graves. My grandmother lived a couple of blocks from a little grocery story in Meridian called Culpepper’s. Mamaw and I would walk there every day when I visited her in the summer in the 50s and early 60s. 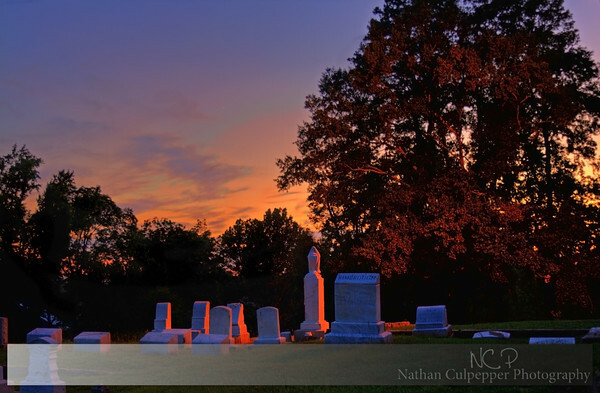 And now I discover a photographer named Nathan Culpepper has photographed Rose Hill Cemetery. I wonder if his people owned that little grocery store…. But back to the novel. I don’t want to give away too much of the plot, but I have to say that I was brought to tears at points in the story because of my personal experience with sexual abuse and mental health issues in my own family growing up in Mississippi. I was impressed with the way Julie peopled the book with upper-class folks, rodeo trash and strict religious types without overly stereotyping each group. Whenever a fiction writer tries to get to the heart of any people and reveal them to the world, she risks offending someone in the process. Katherine Stockett has certainly taken some heat for her portrayal of both the Junior Leaguers and their African-American maids in The Help, but most every one I know who, like me, grew up in Jackson in the 50s and 60s agrees that she did, indeed capture a culture with all its beauty and ugliness. Julie has done the same with an earlier and more economically stressed time in Mississippi. Whether she’s drawing for us a beguiling gypsy boy named River, a half-Choctaw alcoholic father named Jack or a rodeo veterinarian named Bump, she shows us their multifaceted humanity in such a way that we care about each of them, whether we love them or hate them. We care. And that’s what a novelist sets out to achieve. And the way she captures Millie’s voice, first as a six-year-old, and later as a teenager and adult, calls to mind Harper Lee’s character, Scout, in To Kill a Mockingbird. 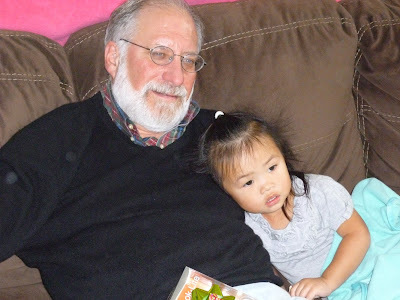 It takes a gifted hand to grow the character’s voice so skillfully as she ages throughout the book. I can’t wait to get to Oxford for the launch party at Off Square Books Tuesday afternoon at 5 p.m. and celebrate with Julie! Check her site for places to get your own copy, which includes an author interview and notes for book clubs. You don’t want to miss this book! A couple of years ago our son, Jonathan, brought us this flag, which had flown on his helicopter in several missions in Afghanistan. Beautifully framed, with a certificate and photograph of the chopper included. 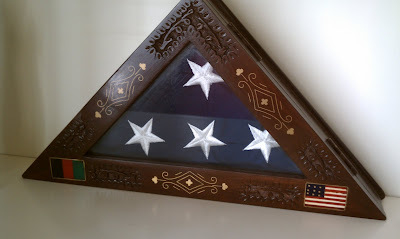 I proudly displayed the flag on a wall upstairs in our house, near our daughter’s room. “What weird noise?” I was skeptical. But sure enough, I discovered that at times the flag would start CREAKING so loudly you could hear it from downstairs! I took the flag out of its wooden frame and examined it, and the frame, to see what the source of the noise might be. 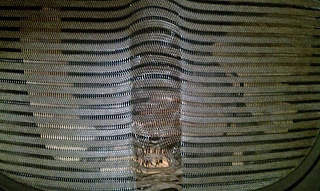 I showed it to Jon when he was home for Christmas last month, and he had no idea what might be causing it. He had given similar flags to a couple of close friends, and they haven’t mentioned hearing creaking sounds from their flags. So, last night I began to unpack and organize my office in our new house, and I displayed the flag on a shelf, alongside a few other related items. I worked until around 2 a.m. in the office, and heard no creaking. whew. But this morning around 9 a.m. I was down the hall from my office and heard what sounded like someone walking on creaky boards, so I went into the office and the flag was at it again… louder than ever. I took this video on my Droid. ALL OF THE NOISES ON THE VIDEO ARE COMING FROM THE FLAG. I was standing perfectly still. > Did you know that AT&T is an acronym for “All That and Then Some”? Seems like it would be AT&TS, doesn’t it? This I know: the American Telephone and Telegraph (AT&T) Company is NOT all that and then some. Although according to Wiki they are the “largest provider of fixed telephony in the United States, and also provides broadband…” blah blah blah. 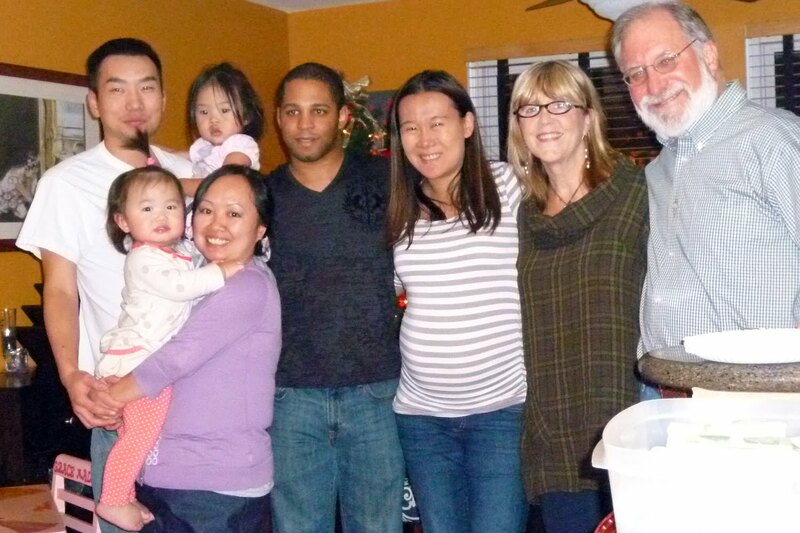 About a year ago we were fed up with Comcast so we switched to AT&T and got U-Verse, which we have really enjoyed. But with our move to Harbor Town, we found out AT&T didn’t have U-Verse in that neighborhood yet, so they partnered with Direct TV for television service. No problem. They switched us over and the Direct TV guys came out on Monday and set everything up. Televisions are working fine. Not true of phone service and internet. My husband spent HOURS on the phone placing the order, about five weeks ago, for our service to be transferred to our new home on January 16. He received a confirmation letter a couple of weeks later saying everything was set, and our service would begin on February 4, not January 16! 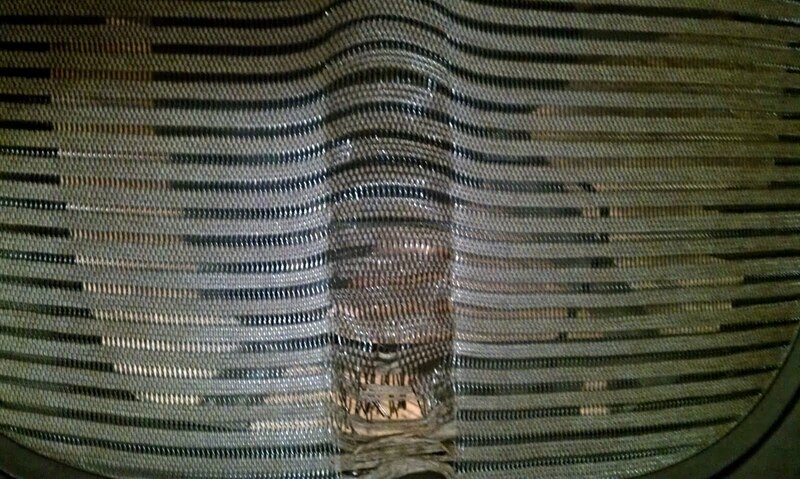 So, he spent another couple of hours on the phone getting them to correct this, which they said they did, confirming our order for January 16. The way it would work would be that our phone service would be turned on that day, and we would receive, by UPS, a DSL modem for our internet. January 16 came and went and no phone and no modem. On January 17 we started trying to get back in touch and finally got someone, at the end of the business day, who gave us a different number to call first thing the next day. First thing January 18 I called the number and they said a company called Hyperion was doing the transfer, and there had been some “error,” but they were correcting it, and we should have phone service by the end of the day, and the modem would ship from Texas overnight, and we’d receive it today, January 19. But here we are on January 19, still no phone service and no modem. I was telling a friend about this and he said he had bad service from Comcast once and so he Tweeted bout it and BINGO—Comcast immediately Tweeted back, “what can we do to help?” and they solved his problem right away. It’s worth a try…. Twitter, here I come! (Harbor Town, not midtown), which I love. Had delicious soup and sandwich for lunch and now I’m enjoying a cappuccino…. good excuse to leave the house for internet service, right? But it’s time to get back to the boxes…. > Just now downloading a few photos from our wonderful New Year’s weekend in Denver with our kids (minus Jon, who was with us in Memphis for Christmas) and grandkids. Too busy to write (we’re moving on Monday, and I’m not sure Pops got the memo… ) so I’ll just post a few pics for now. This first one cracks me up because Anna’s “ponytail” makes Jason look like he has a crazy goatee! 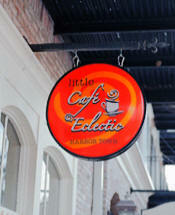 My next post will be from our new digs. Have a great weekend! 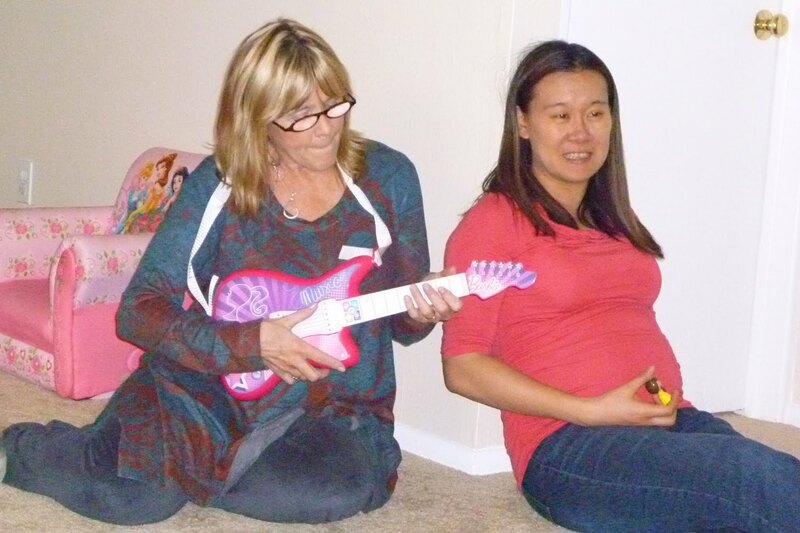 Susu loves Anna’s new Barbie guitar. We’re working on a duet here. Anna is 17 months old. Child prodigy. Did I mention her name is Anna SUSAN? Pops and Grace like to veg out watching football together. Grace loves her Dora Explorer doll and book. 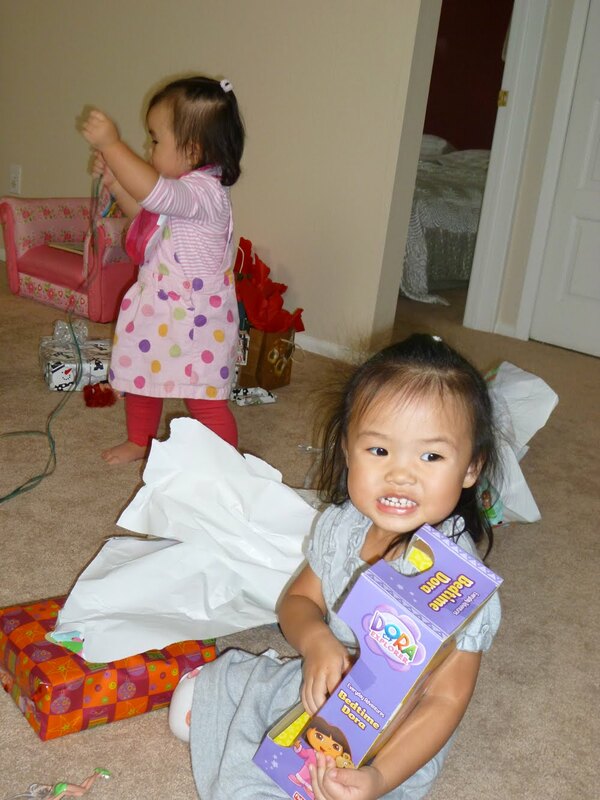 Anna loves ribbons and wrapping paper. 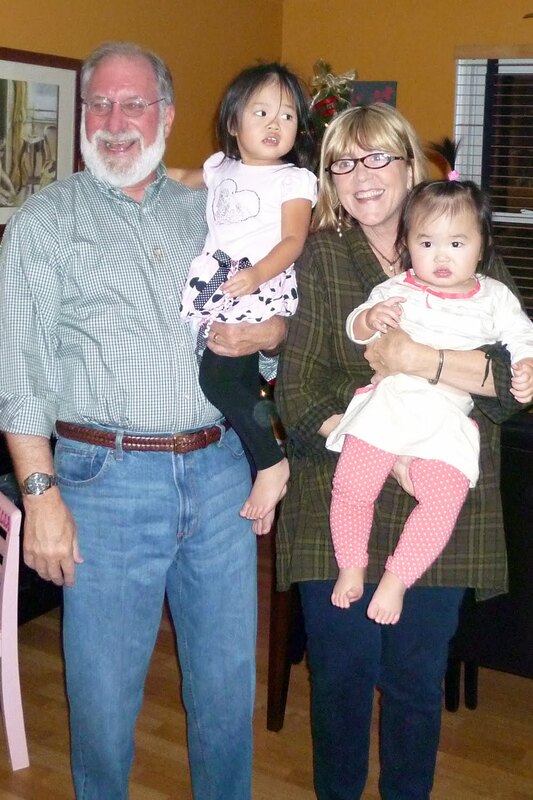 Pops and Susu with the girls…. 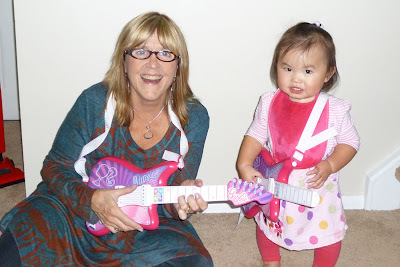 2 reasons to consider a move to Denver in our future…. 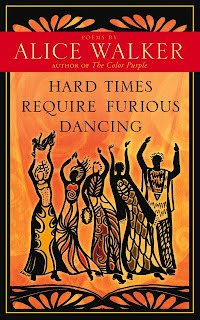 >A writer/friend of mine from Jackson, Mississippi, just posted a link on Facebook today to Alice Walker’s blog post about The Help—the book and the movie. Since I’m too busy to write (still packing to move on Monday, and recovering from a nasty 2-day stomach bug) I’m going to offer this link and encourage you to read this. It’s really really good. 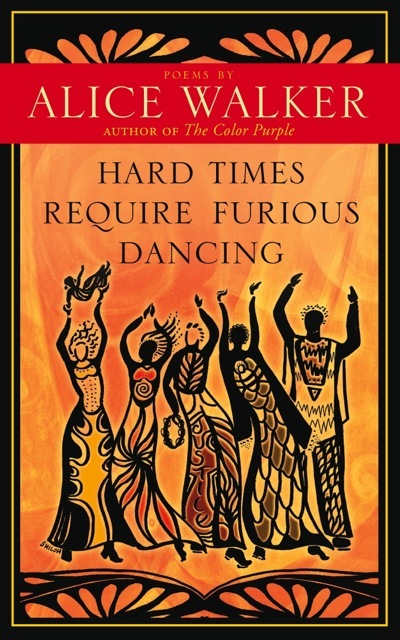 I spent a few minutes browsing Walker’s web site this morning and now I’m anxious to read her book of poetry, Hard Times Require Furious Dancing. The cover alone makes me want to read what’s inside! 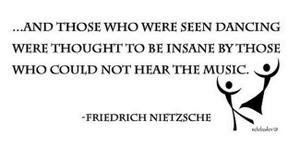 It reminded me of this wonderful Nietzsche quote. Reading Walker also reminded me that she will have an essay in the upcoming anthology, Circling Faith: Southern Women on Spirituality, coming this spring from the University of Alabama Press…. in which I will also have an essay, “Chiaroscuro: Shimmer and Shadow.” I’m humbled and honored to be in such company. 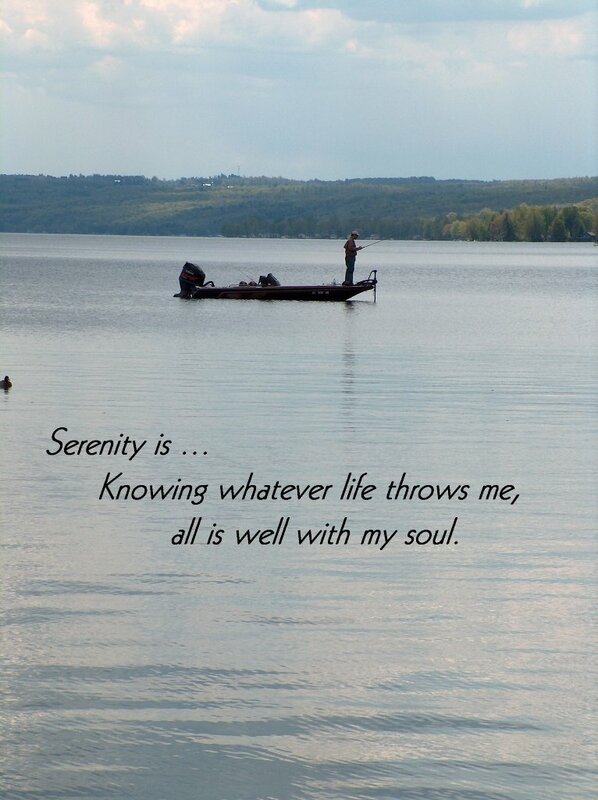 Please leave a comment to let me know what you think and I’ll try to respond soon…. although with the packing and moving it might be a few days. > Yesterday an old friend from high school posted this YouTube video on Facebook: “It is Well With My Soul.” When Guy Penrod and David Phelps did their solos, I found myself in tears, watching these two beautiful men pour out their souls and their art and their humanity in such a heartfelt way. I remembered the history of this hymn from years ago when we used to sing it in the early days of “the church that met in our home” in Jackson, Mississippi. But somehow those songs that are such a part of our culture got lost as we entered the Orthodox faith with its Byzantine and Slavonic music. I was talking with a friend on the phone this morning—she is also a convert to Orthodoxy—and we were discussing the disconnect between our American culture (and European roots) with this Eastern religion we embraced many years ago. (I addressed some aspects of this struggle in this post back in November.) I still don’t know how to reconcile this, but I know that I miss many aspects of the culture of “my people,” especially as I grow older. I yearn for the songs of my youth, and for sitting around bonfires at night strumming guitars and singing. In contrast, I went to Vespers at my (Orthodox) parish last night, and yes, it was beautiful and prayerful, with two men doing the Byzantine chanting and the priest quietly coming in and out of the altar to lead us in prayer. The nave was lit mostly with candles, which is one thing I love about the Wednesday night Vespers. But I found myself wanting to pour out my soul the way Guy Penrod and David Phelps did in the YouTube video. I think it’s just how I’m wired, and part of why I write, in order for my voice to be heard, if only by God and me, but hopefully by others as well. I’m looking forward to the Divine Liturgy tomorrow morning at the Feast of Theophany, and to bringing home bottles of holy water with which my husband will bless our new home after we move on January 16. You can listen to a sample of the Byzantine hymns of Theopany here. 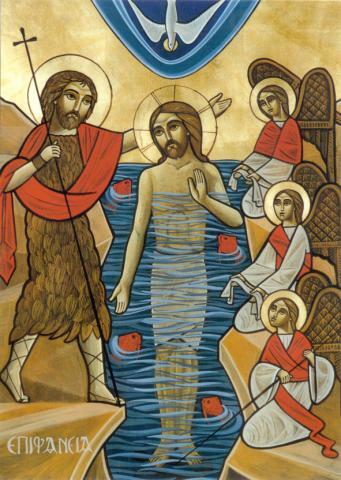 And here’s an interesting audio about the first Orthodox celebration of Theophany, in New York. 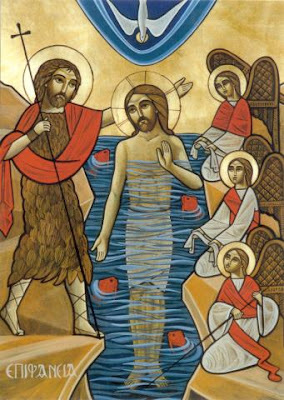 I love this Coptic icon of the feast. I look forward to having holy water sprinkled on me during the service, and to drinking a little of the holy water at the end of the feast. 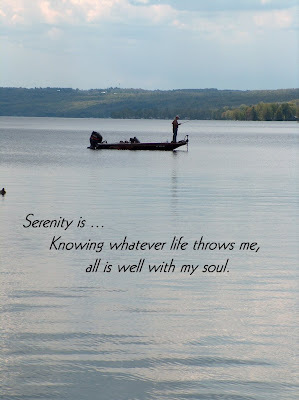 But I won’t be surprised to hear myself humming (I do that a lot) “It is Well With My Soul” on my way home from church. >When we move into our new digs on the 16th, we’ll also be setting up “shop” in our separate offices. Yes—I’ll finally have a “room of my own” where I can write, paint, read, work out on the elliptical, and watch “my shows” on TV. One of the many decisions we had to make about which furniture to keep and which to sell/give away for this move (scaling down by 400 square feet—no dining room and only 3 bedrooms) was office chairs. Since 1995 my husband and I have had two wonderful Herman Miller Aeron Chairs at our desks. 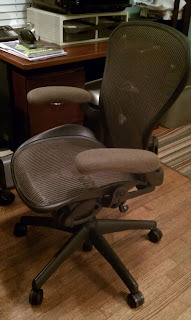 But a few years back, the seating on my husband’s chair started to tear, and the left arm on my chair is sort of broken. 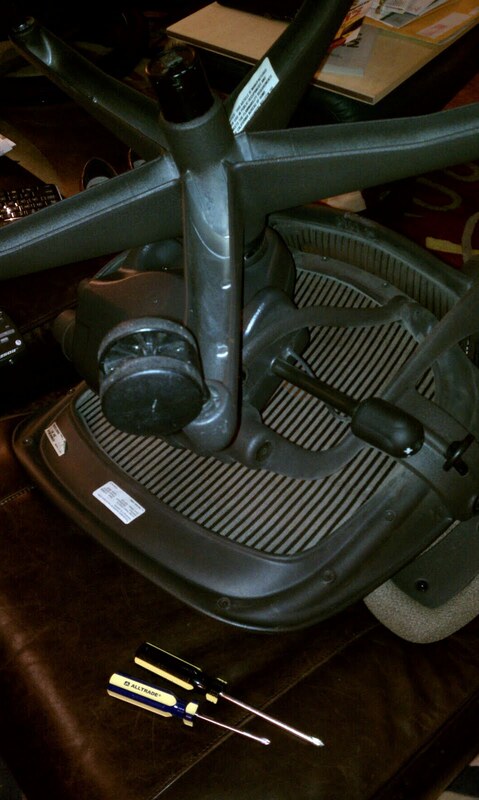 So, tonight he is taking the seats off both chairs and putting the seat from my chair onto his chair for his new “man den.” How’s that for recycling 16-year-old chairs? 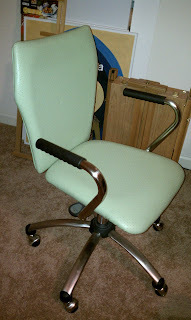 And… a few years ago I discovered this cool green chair (at Office Max or somewhere for less than $100) that I actually like better than the Herman Miller… it supports my back better when I’m writing/thinking/painting. So… the green chair will sit between my writing desk and my painting desk in my new office. I can roll around on the hardwood floors from desk to desk without even getting up! That’s all for now… back to work packing….